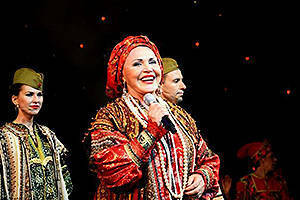 The Russian Song Folk Theatre founded by the Russian singer Nadezhda Babkina puts on music and dance performances representative of various folk styles. 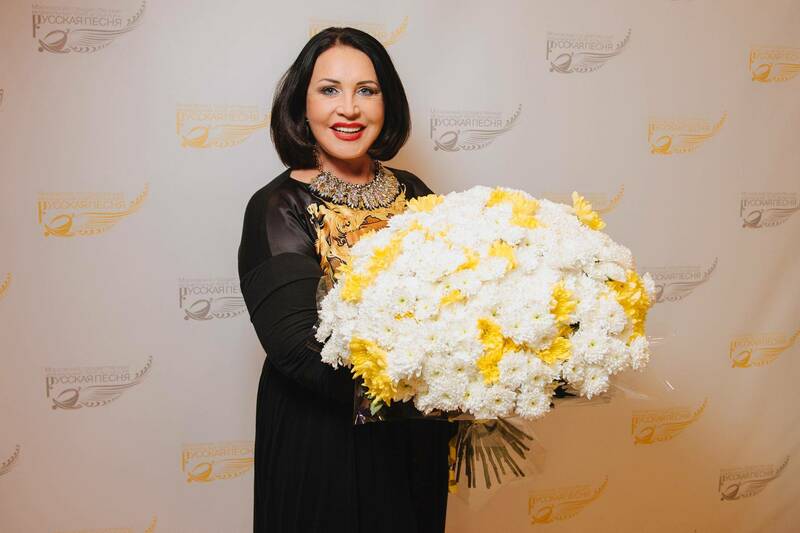 Russian fashion designers contribute to the creation of colourful costumes. Vibrant folk dance performances against the backdrop of mind-blowing stage sets and costumes will make a lasting impression on anyone! 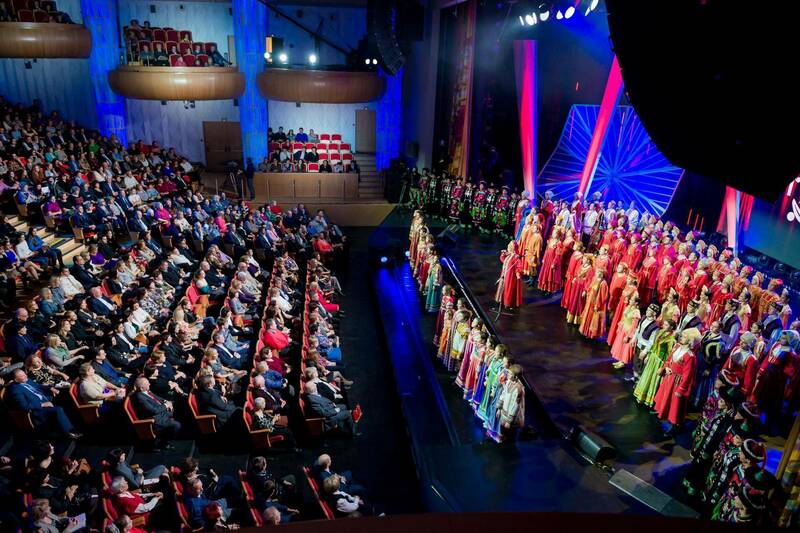 A spacious stage allows the theatre company to carry out large-scale projects such as Russia’s first folk musical or first national ice show. 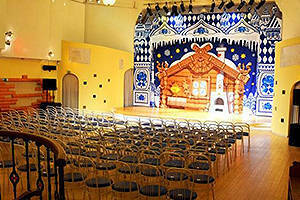 The Theatre often puts on shows for kids, preceded by face painting and photo sessions. 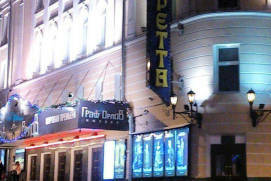 The Theatre is located in central Moscow. Visitors can leave their cars in the paid underground parking area. 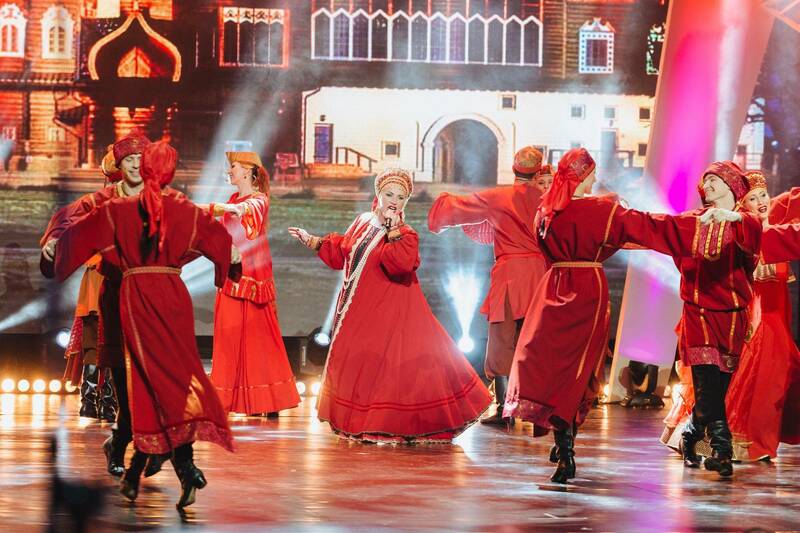 The Russian Song Folklore TheatreRussian: Teatr «Russkaya pesnya» or Театр «Русская песня» is a state folk music theatre established by the renowned Russian folk song performer Nadezhda Babkina. 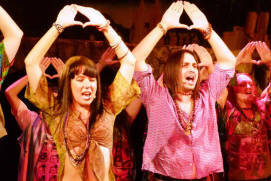 The company stages a variety of music and dance performances representative of different genres and folk styles of music. 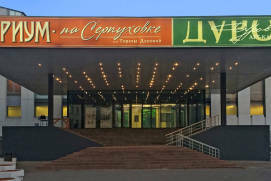 The theatre’s two stages, both the main stage and the smaller, more intimate one, are located in the historic centre of Moscow. 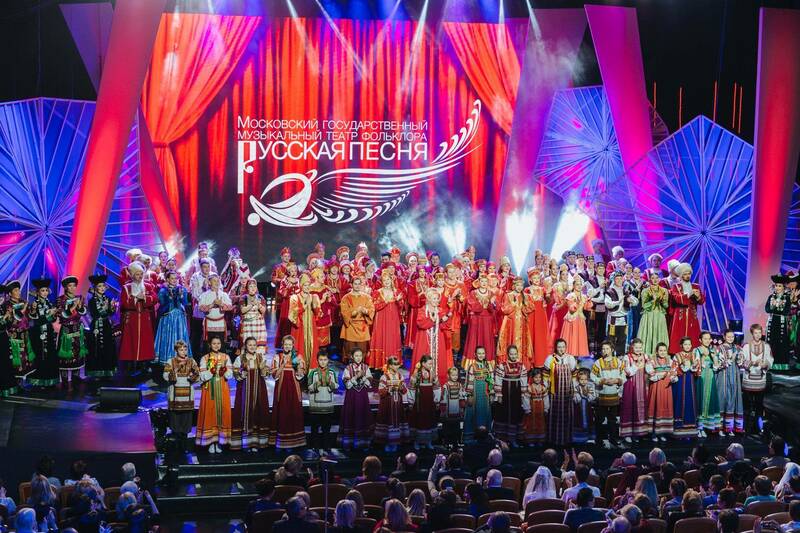 The Russian Song Theatre puts on traditional concerts, often timed to coincide with popular Russian holidays such as Maslenitsaan Eastern Slavic religious and folk holiday, celebrated during the last week before Great Lent, Christmas and Easter. 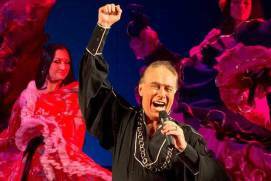 Folk-themed musical performances, festivals and meetings with renowned artists are all part of the theatre schedule. 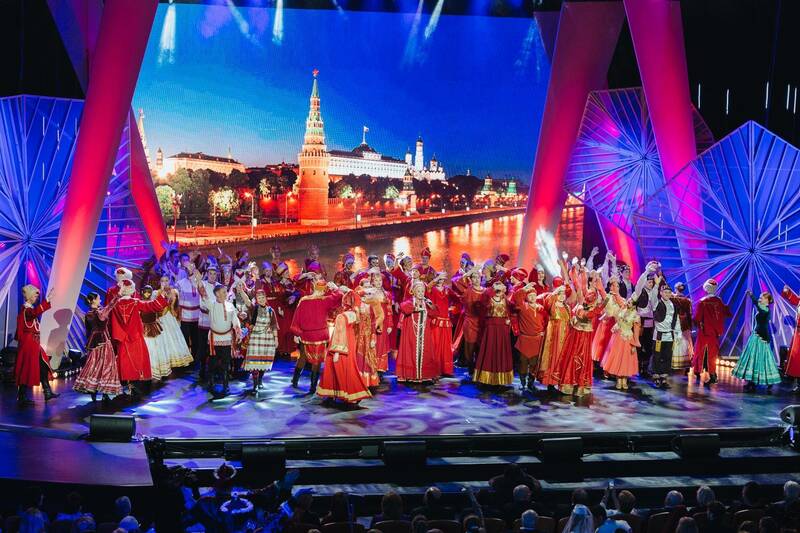 Each Russian region has a specific music and performance style and manner unique to the area, and this regional diversity is represented in the theatre’s repertoire. 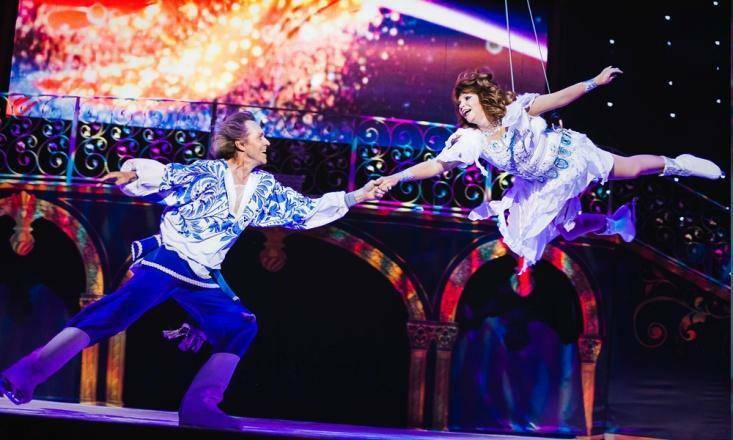 Of special interest to the audience are the team’s dance shows and impressive costumes inspired by traditional patterns from different Russian regions and created by well-known Russian designers. Designer Vyacheslav Zaytsev has recently created a series of incredibly beautiful black and white concert costumes featuring shiny materials, feminine silhouettes and floaty fabrics accentuated with black ornaments. 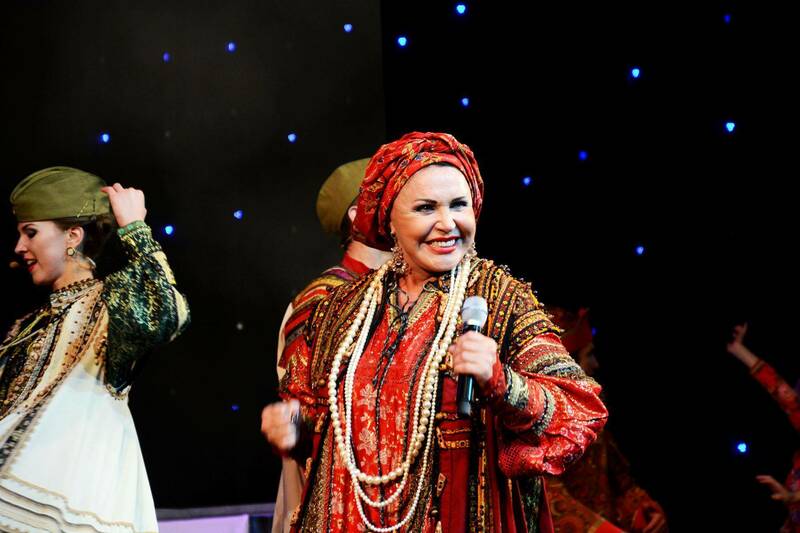 Nadezhda Babkina, the art director of the Russian Song Theatre and holder of the title: The People’s Artist of RSFSRRussian: Narodnaya artistka RSFSR or Народная артистка РСФСР, created an ensemble back in 1975 while she was a student at the Gnessin State Musical CollegeRussian: Muzykalnoe uchilische im. Gnesinyh or Музыкальное училище им. Гнесиных. 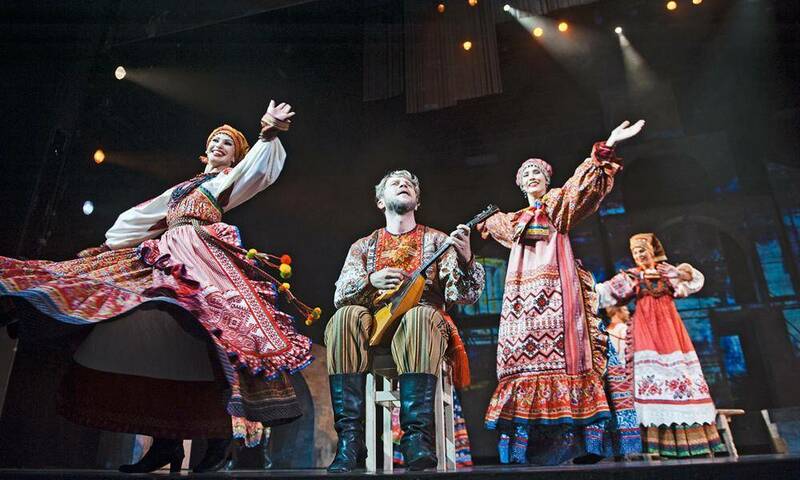 Over time, the company had grown much larger than this original ensemble and has become a real Russian song theatre. 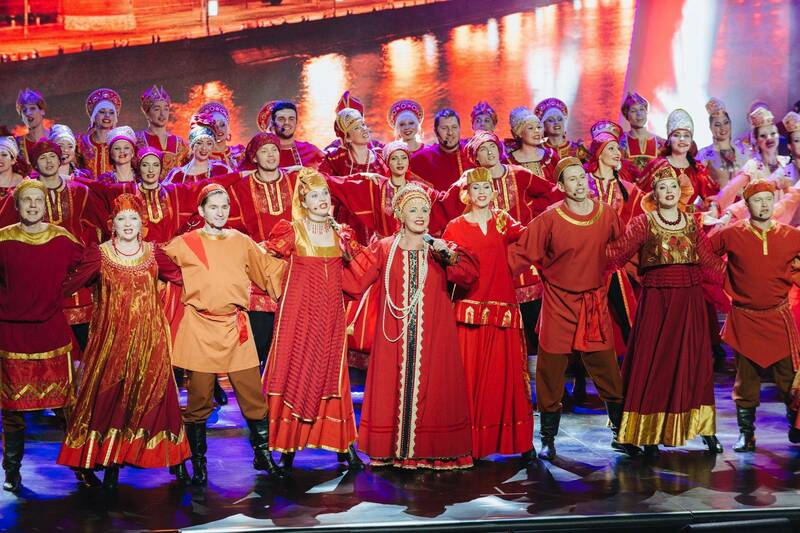 The Russian Song Folk CentreRussian: Folklornyi tsentr «Russkaya pesnya» or Фольклорный центр «Русская песня» was founded in 1989 and acquired the status of a theatre in 2000. Nadezhda Babkina believes that folk art is centered around authentic Russian traditions which form the basis for Russian culture – her self-declared mission is to promote Russian folk music. 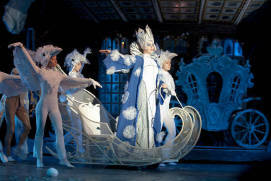 On our website we have collected the most interesting events in Moscow of the year. 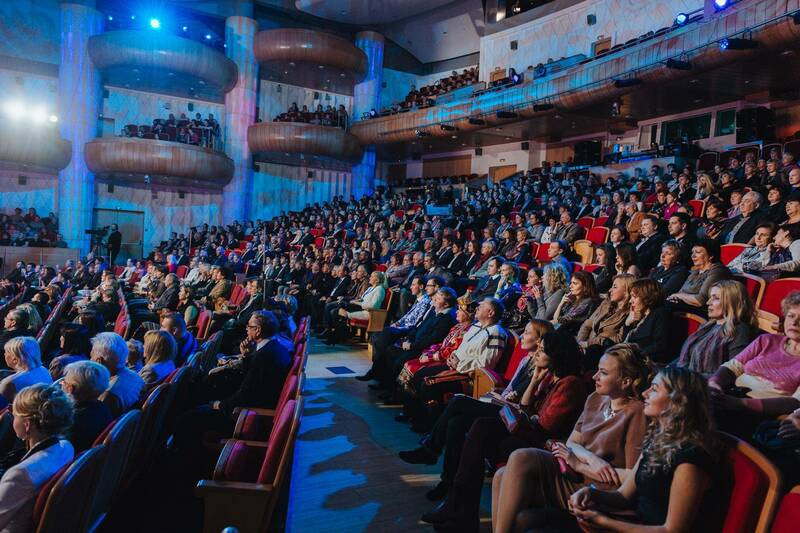 If you want to learn more about Moscow concerts, Moscow opera, ballet in Moscow or to visit any famous Moscow drama theater, you will find a lot of useful information on our webpages. 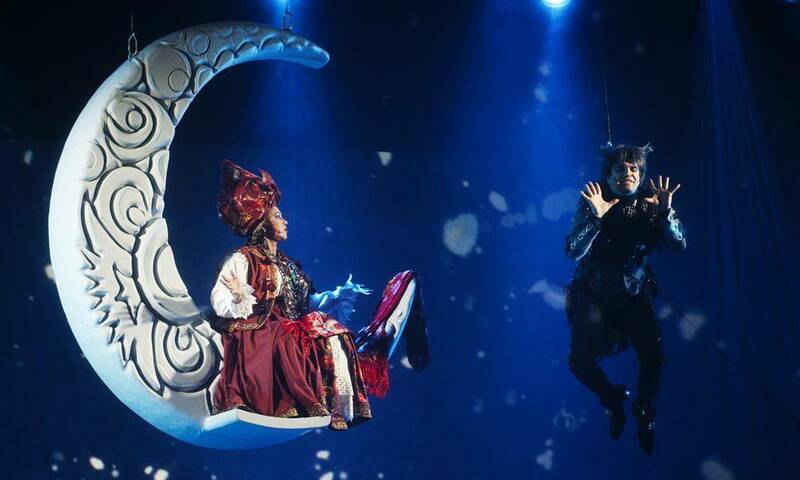 The Naslediye (Legacy) Folk Studio for Children and AdolescentsRussian: Detsko-yunosheskaya folklornaya studiya «Nasledie» or Детско-юношеская фольклорная студия «Наследие» is part of Nadezhda Babkina’s theatre. 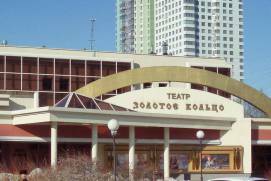 Classes are held in a facility on Sadovo-ChernogryazskayaRussian: Садово-Черногрязская Street, and the Studio students give performances on the stage of the Russian Song Theatre on Olympiysky AvenueRussian: Olimpiyskiy prospekt or Олимпийский проспект several times a year. 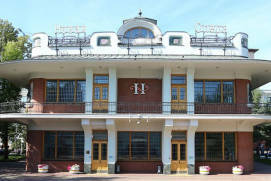 The main stage is located on Olympiysky Avenue and the small one is on Sadovo-Chernogryazskaya Street. 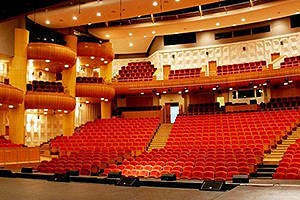 Inaugurated in 2014, the main theatre is a high-tech and state-of-the-art concert hall seating up to 1,000. 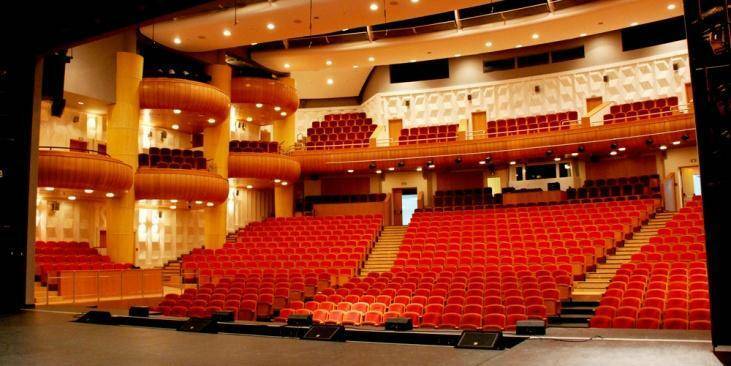 The hall has a number of interesting features: an adjustable height stage (the stalls are removable if an open space is required for dancing), technologically advanced equipment for creating astounding light effects, etc. 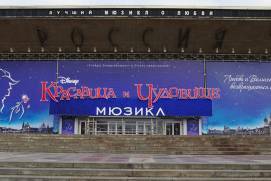 The larger stage has allowed the theatre company to carry out some large-scale projects, such as the first folk musical and the first ice show in Russia combining folk songs, dances and figure skating. their picture taken before the show. The cloakroom is divided into several zones, which avoids long queues. The lounge interiors are decorated with stained-glass panels and columns imitating onyx and amber. 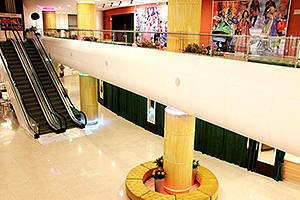 The theatre occupies the lower floors of the big Diamond Hall Business Centre. You can park your car in the paid underground parking area (200 rubles/2 hours) or in a parking lot just outside the building. Mo: 11 a.m. - 8 p.m.
Tu: 11 a.m. - 8 p.m.
We: 11 a.m. - 8 p.m.
Fr: 11 a.m. - 8 p.m.
Sa: 11 a.m. - 8 p.m.
Su: 11 a.m. - 8 p.m.
We: 12 p.m. - 8 p.m.
Th: 12 p.m. - 8 p.m.
Fr: 12 p.m. - 8 p.m.
Sa: 12 p.m. - 8 p.m.
Su: 12 p.m. - 8 p.m.
From 300 to 3500 rubles.